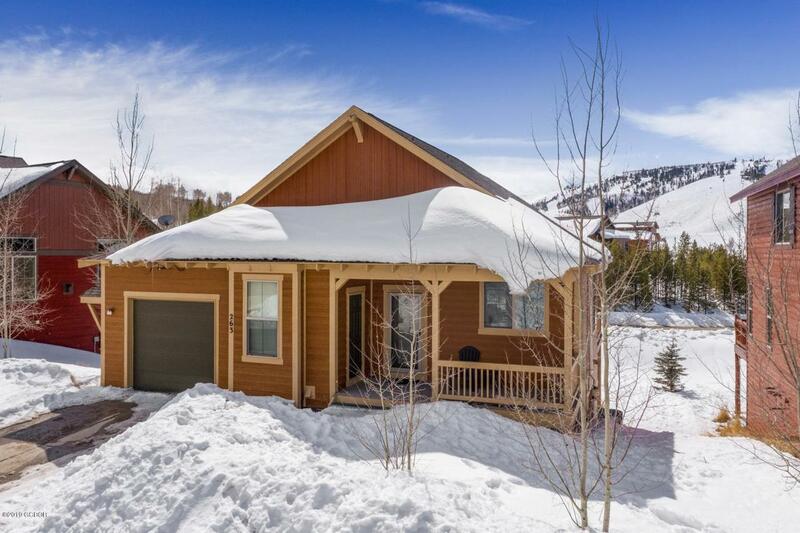 Amazing mountain getaway with ski-in, ski-out access and full Granby Ranch membership! This fully furnished, ranch style home with 3 bedrooms and 2 full baths offers an open floor plan and an abundance of windows providing natural light throughout. The spacious kitchen lends itself to entertaining with slab granite counters, stainless appliances, generous breakfast bar and dining area. The open and warm great room, adjacent to the kitchen, provides a welcoming atmosphere with a stone, gas fireplace, and a wall of windows overlooking open space. The main level features a main floor master, half bath, and a custom laundry/mudroom. The lower level offers a secondary family room/recreational area, two additional bedrooms, full bath and storage. Perfectly located, the Granby Ranch commuity.provides easy access to take advantage of the mountain lifestyle. Within minutes from your doorstep you can enjoy year round activities including skiing/boarding, golf, biking, hiking and fishing.